Samsung has issued a software update for the Korean version of the Galaxy S III (SHV-E210S), bumping it to Android 4.4.4 KitKat. The latest version of Android comes to the device ten months after it received Android 4.3 Jelly Bean. The update carries a build number E210SKSUKNI3 and is available either via OTA or KIES. In addition to bug fixes and slight boost in performance, Android 4.4.4 KitKat also brings security fixes. 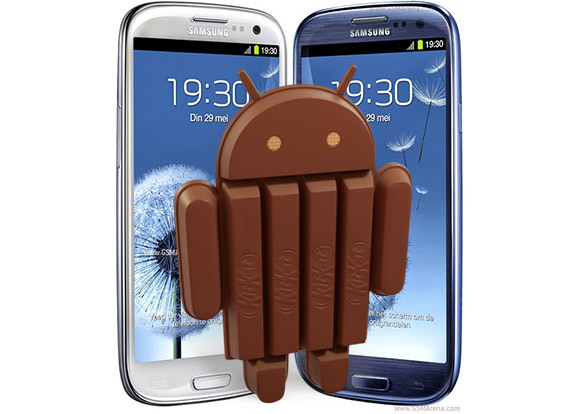 Samsung denied a KitKat update for the international version of the Galaxy S III, saying that its hardware can't provide a smooth enough experience under the latest Android version. News dating back from May suggest that this won't happen because of the phone's 1GB of RAM. The Korean version of the phone packs 2GB of RAM and as such has been graced by KitKat. Same problem here. How to fix that ?? Do you know ? ?